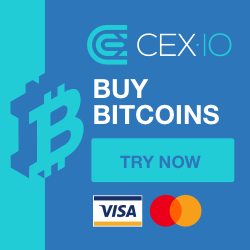 CRED (CX) is a new state of the art universal cryptocurrency with its own mobile app that is dedicated to supporting renewable energy and solving the pesky issues posed by other cryptocurrencies. Denver, CO. April 2018. A new unique cryptocurrency is set to introduce a historic chapter in the digital currency space. For the first time it will not just be about an investment—rather, it’s an “investment with a purpose.” Titled as “CRED” with CX as the ticker, the state-of-the-art cryptocurrency is on a futuristic mission to support GREEN energy and provides app-based mobile mining. The post PR: Crypto with Mobile Mining App Credits.Energy ICO Is Now Live appeared first on Bitcoin News.